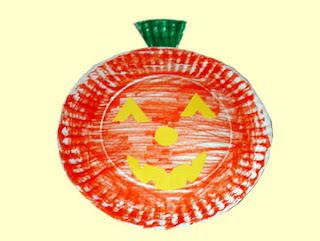 Wishing you a BOOtiful and SPOOKtacular day! Don’t worry! 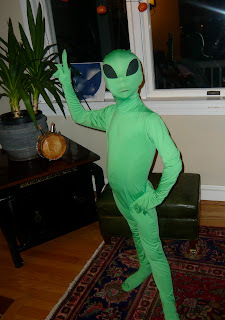 It's not a real alien. It's just my grandson K.J.! HALLOWEEN HOMEWORK! Tell your kids to start saving their candy wrappers and bring them to school on Friday. Tomorrow I’ll have some super activities to do with all those recycled wrappers. Here’s a story that explains why I like children better than most adults I know. Children look at the world through rose-colored glasses and always see the best in us. I recently gave a neighbor one of my DVD’s for her granddaughter. When the little girl watched me she said, “Grandma, Dr. Jean is like a ballerina.” Now, there is nothing about me like a ballerina – not the body, nor poise, or grace! The reality is I’m a 64 year old, fluffy (nice way for saying fat around the middle), grandmother. But in her eyes I’m a ballerina. Bless her! Here are some sweet pictures I received from children at Ballston Spa. They didn’t give me wrinkles or gray hair, but they did give me a smile! 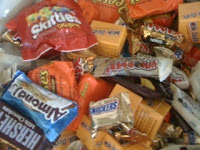 With Halloween a few days off, I’ve had “candy” on my mind. As adults we often have “childhood amnesia.” By that I mean we forget what it’s like to be a child and think like a child. Children love candy. They just do! I was on a plane one time and a little girl was screaming bloody murder and driving all the passengers crazy. I happened to have a small bag of M&M’s with me and I asked the mother if I could give them to her child. The mother said, “Yes, and get me a gin and tonic while you’re at it!! 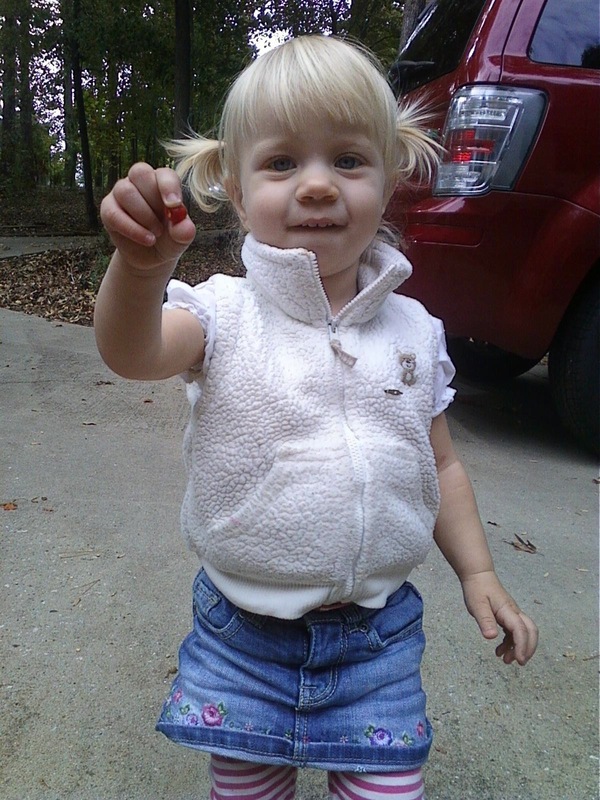 !” I leaned over to the little girl and said, “I like candy, do you? What’s your favorite kind? Would you like some of my candy?” Well, she stopped crying and became a happy little camper. And the rest of the plane was happy as well! K.J. and I were talking about Christmas and he said he could hardly wait for the toys and candy. I asked him which one he liked best and he emphatically said, “Candy! Candy is better than toys!” Go figure! Nutritionists and psychologists are probably cringing if they are reading my blog. But that’s the way it is. You teachers who are on the front line every day in your classroom know exactly what I am talking about. So, where am I going with all this? I have a candy story for you. I would NEVER use this with children. In fact, I had forgotten all about this story until someone emailed recently asking for a copy of it. It might be fun to use at a faculty meeting to add a little energy and laughter. And, you might be surprised that grown-ups like candy as well! Your alarm goes off long before you are ready to get up. It really doesn’t matter what time it is – you still are not ready to get up. But you go through the motions of getting ready and before you realize it you are already at school. You walk in the door and are twisted and pulled in ten different directions – just like Twizzlers. The sink in the room is stopped up, a mother wants to have a long discussion with you, and here come the twins, also known as the Sugar Babies, who are on a sugar high. It’s barely 8:30 and you can tell it’s going to be one of those days. As you settle into the morning routine, out of the corner of your eye you notice the school guinea pigs, Skittles and Snickers, are trying to break out of their cage. Luckily, Ms. Baby Ruth, your wonderful team teacher, catches them and secures the cage. The Three Musketeers, Todd, Robert, and Jeremy, are having a contest over who can run the fastest and Anna and Maria are arguing over who’s coming to their birthday party. You smile and pat yourself on the back for “rolling with it” just like a Tootsie Roll. Twix answering an email and welcoming a new child, the teacher next door wants you to come see the store she set up in the math center. “Oh, Miss King,” you exclaim, “It looks just like 5th Avenue.” The books you ordered three months ago have just arrived and the children thank you for Good and Plenty things to read. One child is looking for a particular book, but he can’ seem to remember the title. “You know, you know, the one with the Watchamacallit on it.” He’s getting really frustrated when one of the other children finds it. “You’re such a Lifesaver,” you say. The day proceeds without a major incident. Well, if you don’t call Kevin dumping a jar of glitter all over the floor. Every time you walk you feel a Crunch. After lunch you get a Starburst of energy and begin on the Mounds of testing that must be done. When the children finally leave there is a knock on your door and in walks your principal. Today is Pay Day! You open your envelope and realize you will never be paid for what you are worth – even if they paid you 100 Grand. So here are some Hugs and Kisses (pass these out to everyone) to thank you for what you do! Choose a stuffed bear or other animal to listen to children’s complaints and tattles. Explain that when you are busy they can always tell Teddy their problems. He’s always there waiting to be their friend. You can also put an old cell phone on your desk for children to tell their concerns. Explain that you’ll listen to your messages at the end of the day. Hope one of these ideas will work for you!!! Spell out children’s names, high frequency words, or spelling words with this technique. *Slowly say the alphabet as you touch the appropriate body part. Hold up your hand and stick your thumb out to the side. The index finger will be where tall letters start. The knuckle represents the middle dotted line. The thumb represents the bottom line. Practice writing invisible letters and words using your hand. LA - A "HAPPY" STATE! Several years ago there was a study of the “happiest” states. Before I even read the report I guessed that Louisiana was the happiest state. And I was right according to the study! People from Louisiana love their families, their friends, their food, and they LOVE to have a good time! Maybe the rest of us need to take some lessons from them because they’ve got it figured out for sure! And I was happy to speak at the LA Early Childhood Conference last week! Here are some students from LSU who came ready to sing, dance, and learn. I also got to sing with some precious children in Alexandria. Take a look at this cute shirt that one class was wearing. The teacher explained that her families didn’t have enough money to buy expensive school shirts, so she asked them to go to Walmart and get a package of three white T-shirts. Each season they make a different shirt to wear on field trips. Super idea! Another thing I learned has nothing to do with early childhood, but it was so clever I have to share it with you. I hope you never drop your cell phone in water, but if you do remember this. Empty a small bag of rice in a zip bag, place your phone in there, and zip it up. Apparently, the rice will absorb the water and your phone will be good as new. See, you learn something new every day! For a few dollars and a few minutes you can create some great LETTER POPS for your classroom. You will need a set of magnetic letters and jumbo craft sticks. Glue a magnetic letter to each craft stick. (I LOVE E6000 glue that you can get at Walmart or hobby stores.) Pass these out to the children to hold up as you sing alphabet songs, such as “Alphardy,” “Who Let the Letters Out?” “Letter Pops”, etc. *Have children match letter pops to classroom print and letters in alphabet books. *Call out sounds. Children come to the front of the room when they hear their letter sound. Blend the letters together to make words. 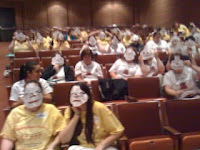 I was lucky to be invited to share at the Southwest Virginia Reading Conference last week. Dr. Heidi Mesmer gave the opening session which focused on “rural readers.” One of her ideas was to provide “bus books” for children who have a long bus commute. What a great project for a service club or Sunday school class. Get a plastic crate and invite people to donate old children’s books or magazines. Put these on a bus and you’re all set! Dr. Mesmer pointed out that children at risk are low in vocabulary, which can be addressed indirectly by reading and talking – high quantity and high quality. Vocabulary instruction should also be direct and systematic. And, wouldn’t this be a perfect season to expand vocabulary by discussing “scary” words and “spooky” things. Use an attribute web to brainstorm scary words. Let children draw pictures of ghouls, ghosts, or monsters and challenge them to use as many words as they can to describe their drawings. Of course, I embraced her final comment – LOVE THESE KIDS! That’s our most important job as educators regardless of demographics! City, rural, urban – they are all children in need of our love and support! Pick yourself up, brush yourself off, and start all over again! I bet you didn’t know that I got turned down for the doctoral program in early childhood education at Georgia State University the first time that I applied. It wasn’t my grades or test scores. The advisor I happened to talk to 40 years ago said, “I don’t think you are going to contribute to our field, and that’s what we are looking for.” (Surprise! Surprise!) One door closed, but I went and found another open door at Emory University where I earned a specialist’s degree. When I went back to Georgia State to pursue my doctorate I chose Curriculum and Instruction rather than early childhood, and it ended up being a perfect fit for me! Things don’t always turn out the way we want them to the first time. Maybe you didn’t get that job. Maybe you didn’t get that grant. Maybe you didn’t get that scholarship. Keep on keeping on! Put it behind you, move on, and try, try, try again! If I try with all my might in time I’ll get it right. As Forest Gump said, “Life is like a box of chocolates. You never know what you’re gonna get.” But you’ve got to keep eating those chocolates! Here’s our angel granddaughter Kalina with her first piggy tails! We could eat her up! Kalina goes to a family home day care with 8 other toddlers and two loving teachers. They only speak Spanish, which we are delighted about. I gave Kalina’s teachers my Spanish CDs and our daughter Holly says the teachers and children love them. Most of the children can’t talk and don’t have a clue what the words mean, but Holly says they dance around and have the best time with the music. Those little toddlers are testament to the power of music. All those wonderful sounds and all that beautiful language is getting stored in their brains. Who knows when or where or how it will be retrieved, but it’s all up there. And, that’s a powerful thing! My brother turned 70 recently and I’ll tell you a funny story about him. On his big day he could go any place or have anything he wanted to eat. Jack chose to go to his local convenience store and have a Coke and a hotdog. I think it’s in our genes because my siblings and I all love junk food. We’re all very health conscious and try to eat things that are good for our bodies, but when it’s a special day we’ll choose potato chips, Coke, and a hotdog every time! Jack’s birthday was September 5th and he told me that from now on every month on the 5th day he was gong to splurge and have or do something special. I like the idea of celebrating each month, don’t you? I think it’s important to celebrate children’s birthdays in your classroom as well. If you go to my website you’ll find a YouTube or Teacher Tube video you can watch with an idea that won’t cost you a thing and there’s not one ounce of sugar in it. But it sure is a sweet idea! Today is child’s name birthday. To make her/his birthday bright. After singing the traditional birthday song, let the birthday child “blow” out the candles. The candles slump to the floor when they are blown out. 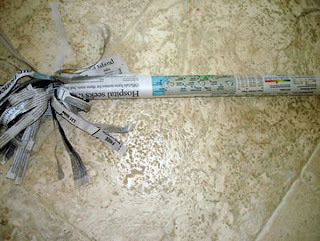 *Make the traditional paper birthday crown for the child to decorate. *Make a “Happy Birthday” book. Each child in the classroom draws a picture of something they would like to give the birthday friend. A simple sentence like “My wish for you is_____.” could be added to the page. 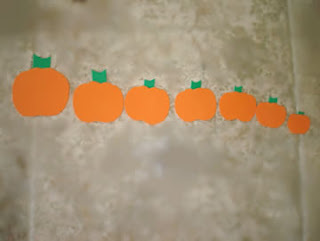 The birthday child decorates a large sheet of construction paper in which the pictures from their friends can be stapled to make a book. *Give the birthday child one special wish. She can choose a game, book, song, friend to sit by, etc. *Spray paint a chair gold and decorate with fake jewels. The “Fancy Nancy Chair” can be used for birthdays and other classroom celebrations. Hint! Be sure and celebrate summer birthdays in May. There’s an important life lesson here. We all have to do things we don’t want to do. The best thing is just to do it and then you can focus on the things you want to do! Too funny! Last year I had a kinder girl that had a complete meltdown whenever she didn't get what she wanted. A Mick Jagger song sprang into my mind and I began singing, "You don't always get what you want; You don't always get what you want; You don't always get what you want; But you get what you need." The little girl was so surprised that she stopped her wailing to listen to me. (I sing off key, but with spirit.) I began to use the song again and again and it seemed to help. Thanks Mick! Thanks Dr. Jean! THERE'S A HOLE IN MY PAGE! A long time ago we did more art projects in our classrooms. Why? According to Eric Erikson, elementary age children are in the age of “industriousness.” They like to MAKE things and use their IMAGINATIONS. Here are a few art projects that are simple and fun for all ages and abilities. 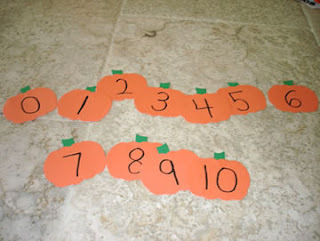 Use them as a "bonus" for children who finish their work early, put them in a center. or tie them in with your lesson plans. Directions: Cut a hole out of the middle of each sheet of paper. Challenge children to look at the hole and then create an object out of it. Directions: Ask children to cut a large object out of the magazine. Next, cut the picture in half. Glue one half to their paper and then draw the other half with crayons or markers. Directions: Draw an alphabet letter in the middle of each page with the marker. Each child chooses a letter and then tries to incorporate the letter into a picture. Challenge them to draw something that begins with the letter. *Put their pictures together to make an alphabet book. Directions: Draw a small shape or seasonal object in the middle of the paper. Children trace around the object with different colors of crayons. *Reinforce geometric shapes with this project. Younger children can do triangles and older students can trace trapezoids or pentagons. This idea for “saving” high frequency words came from a precious teacher in Louisiana. Ask children to bring a wallet from home. Write high frequency words (aka “dollar words”) on green paper cut 4” x 2”. When children learn a new word they get to “save” it in their wallets. Younger children could save letters or numerals in their wallets. Older children could save vocabulary words. *If children finish their work early they can play games like “memory” or “go fishing” with their dollars with friends. 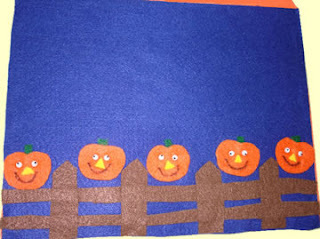 *Children can also make simple wallets from construction paper. Fold up a sheet of construction paper to 1 ½” from the top. Glue the sides and then fold in half. HAPPY TEACHERS = HAPPY CHILDREN! Last Saturday I did a workshop for Kids Country Child Development Centers near Cleveland. What a fun group!!! What happy teachers! You’ve probably seen the magnet that says, “If momma ain’t happy – ain’t nobody happy!” Well, if teachers aren’t happy, then how can they make their children happy? 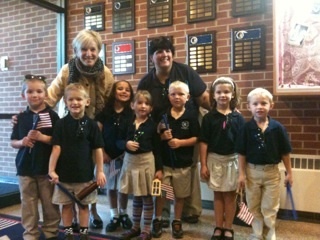 They invited some of their kindergarten students to introduce me. Talk about charming! The children sang “The Fifty States” taking a deep breath between each chorus. Can you believe those five year olds could learn the 50 states in our country? Only with a song! Sheryl Herter and Jami Eshelman shared this idea to encourage kindess in their classroom. They cut two hearts out of paper. One heart gets wrinkled up as they describe things children say to each other that hurt feelings. Once the heart is all crinkled up they try to smooth it out. It reminds the children that once you say something unkind you can never take it back. They hang up both hearts as a reminder to think before they tattle or say hurtful things. Beth Morehart told a story with a coffee filter. Fold the coffee filter into fourths before you begin. Ann Malecky showed us how to make a slice of pizza out of a lunch bag. First, crinkle up the bag and then “sculpt” it to look like a slice of pizza. Children will enjoy decorating their pizzas with construction paper and they can even write a “how to” recipe. Perfect for singing the “Pepperoni Pizza” song! 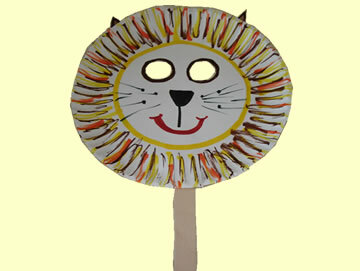 Paper Plate Mask – Cut eyes out of paper plates, then let children decorate them with paper scraps, markers, yarn, etc. Tape a jumbo craft stick to the back so children can hold up to their face. ?Treats? – This is a good time to tie in a little nutrition. What are some good foods that are treats? Raisins, grapes, cheese, berries, pretzels, etc. What are some foods that are not good for your body? What will happen if you eat too much sugar or junk food? Make a T chart with healthy treats and junky treats. This has got to be one of my all time favorite finger plays! If you go to this link you can download a book for the children to read and color. Or, better yet. Download the version with just the words so the children can make their own illustrations. Dramatize – Choose one child to be the bat, 2 to be spiders, 3 to be cats, etc. to act out the song. Step Book – Take 3 pieces of paper and stagger them 1” apart. Fold backwards. Staple at the top to make a book. Children write the title of the book on the first page and then illustrate each verse on the following pages. Spider Puppet – You will need paper plates, construction paper, an old sock, markers, and a stapler to make this project. Decorate two plates to look like a spider’s body. Cut eight 8” x 1 12” strips for the spider’s legs. Glue 4 legs on either side of the body. Staple the plates together around the sides where the legs are glued. Draw a face on the sock and then stick it through the center of the plates. Spider Soup – This was one of my favorite Halloween activities! Get a large industrial size can of chicken noodle soup. 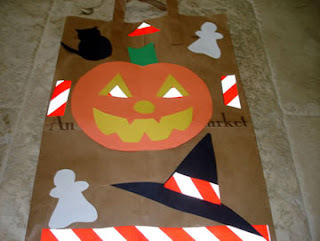 Remove the wrapper and cover with construction paper. Write “spider soup” on the label. Take two packages of ramen noodles and crush. Put in a paper lunch sack and write “spider webs” on the front of the sack. Explain to the children that you’ll be having spider soup for snack. Show them the can and just LISTEN to their comments. Open the can and put it in a crock pot. (Someone will be sure to comment that they see spider legs and meat!) Show them the sack and explain that you will end crunchy spider webs to make it better. Dump those in and slowly cook until it is warm. Serve in paper cups. *Draw a jack-o-lantern on the board or on an overhead as you sing the song. 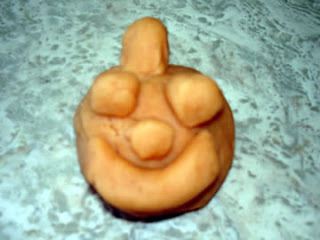 Pumpkin Play Dough – Make play dough using the recipe below. Add red and yellow food coloring to make it orange. 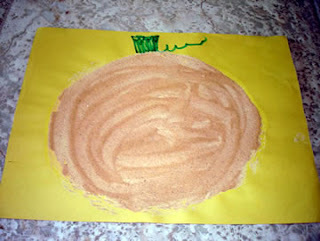 Let the children knead in pumpkin pie spices. They’ll have fun making pumpkins, pies, and other characters. Mix all the ingredients together in a pan and stir until smooth. Cook over medium heat stirring constantly until the mixture forms a ball and sticks to the spoon. Cool and knead. Store in plastic bags or covered containers. It was getting close to Halloween, so all the children in teacher’s name classroom went to her house and knocked on her door. The little lady came to the door and said, “Close your eyes.” SURPRISE! 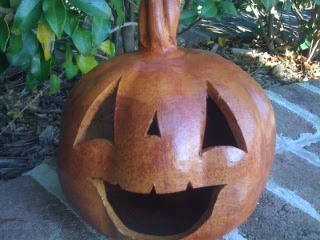 It’s a jack-o-lantern! I was lucky to be invited to share with the teachers at Kids Country Child Development Centers near Cleveland last Saturday. We did this story and they were so cute with their pumpkins! I have done this story for years, but the magic is still there! What kind of pie do ghosts like to eat? Booo berry, of course? What do you get when you take the inside out of a hotdog? A hallow weenie! Although Halloween is weeks away, here are some “boootiful” and “spooktacular” ideas to scare up some smiles and fun in your classroom!! I realize that some people think Halloween is bad and evil, but to me it’s just an excuse to dress up and have fun. It also gives children the opportunity face their fears and discern real from pretend. An interesting thing is when asked, “What was your favorite holiday growing up?” most adults will say that (after Christmas) Halloween was the most fun.